There is help and information available so visitors to Randolph County will have a great experience here. Through help from the City of Pocahontas, we are able to staff the local Visitor Information Center in the beautifully restored Pocahontas Train Depot. Just CONTACT us. We’re here to help! 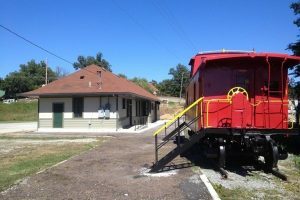 While the trains don’t come to Pocahontas anymore, the old depot does have 1 restored red caboose on display, and the Visitor Information Center has lots of information on what to see and do here. History has a bold, yet charming way of presenting itself to you in Randolph County. The Old Historic Randolph County Courthouse, built in 1872, is in the middle of a charming town square. The courthouse has been restored and is on the National Register of Historic Places. The very first post office for the Arkansas Territory was in Randolph County… and today the site of that building is marked for visitors of the Old Davidsonville State Park. They Maynard Pioneer Museum is a delightful look into the past, to a time when the people of the east ventured with astounding vigor into the unknown, the West! The east side of Randolph County is part of the Delta, known for rich, fertile farmland, and abundant rice, bean and grain fields. 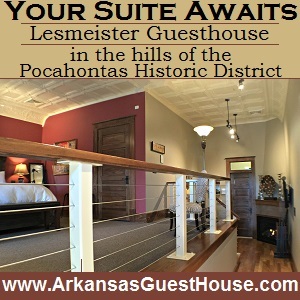 The west side of the county slowly rises toward the higher elevations and the breathtakingly beautiful Ozark Mountains. The county is the only one in the state that can boast of having five rivers within its boundaries. The fishing and canoeing are excellent. The Black, Current, Spring, Eleven Point and Fourche rivers capture nature’s wonder as avid water-lovers and sportsmen are drawn to their shores. Come enjoy a water adventure at one of our rivers. 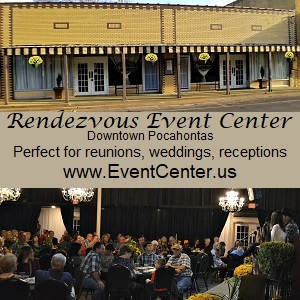 Randolph County offers something for everyone from outdoor recreation, historical sites, monuments and attractions, arts, museums, unique shopping, historic downtown square, beautiful fiver rivers and many of Arkansas Firsts! Come and enjoy all that Randolph County has to offer.